active contributor to public welfare. Public welfare has always been our greatest concern since the founding of New Hope Group. From initiating the Guangcai Program, lifting poverty in rural areas, establishing the House of Philanthropy, to donating for the Wenchuan earthquake, New Hope Group has been and will always be an active contributor to public welfare. New Hope Dairy launched the “Warm Winter Action”. Chengdu Hope Food Company implemented “nutritious meals for students” program. Kunming Dashanghui engaged actively in various community activities. New Hope Dairy engaged in the “Milk for Students” program. A visit to the disaster-stricken areas on new year’s eve. 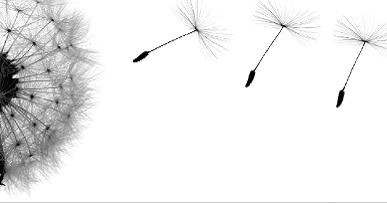 Instant reaction in disaster relief. The Group held a series of public welfare events before the Olympic Games. New Hope Group donated 1 million yuan to set up the Guangcai Program Fund. A donation tothe Red Army Revolutionary Museum. Liu Yonghao donated 285 thousand yuan to the Warmth Program. The Group made two donations to two Fumin Primary Schools. The Group donated money and materials worth 3.1 million yuan to flood victims. Liu Yonghao donated one million yuan to poverty relief. The Group donated 200 thousand yuan to the Funan River Improvement Project. The Group donated 1.7 million yuan to build three Guangcai Program primary schools. In the Warm Winter Initiative of 2013, New Hope Dairy donated 10,340 pairs of cotton-padded rain shoes, 10,000 pairs of cotton socks and 200 quilts, worth over 400 thousand yuan in total to multiple primary schools in Leibo County, Zhaojue County, etc. in Sichuan. In 2013, Chengdu Hope Food Company announced the official launch of Meihao Program, another public welfare initiative, implemented "nutritious meals for students" and student subsidies. Starting from 2011, Kunming Dashanghui has launched a series of initiatives including True Concern for Drought-hit Areas and engaged itself actively in various community activities and public welfare undertakings, with a cumulative investment of 30.77 million yuan. Since 2011, New Hope Dairy has offered milk to 2.6 million students every day, taken active part in the National Nutrition Improvement Program for Students in the Stage of Compulsory Education, and been engaged in the "Milk for Students" program. 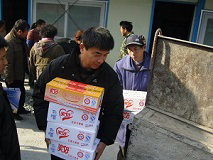 On the Chinese New Year's Eve in 2009, Liu Yonghao visited the disaster-stricken Yingxiu Town and gave local people gifts and New Year goods. 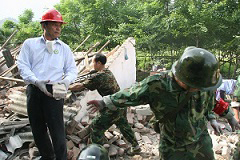 After the earthquake on May 12, 2008, personnel of New Hope Group lost no time in traveling to the disaster-stricken area, where they distributed milk and ham sausage among local people and donated over 20 million yuan. 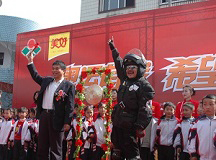 In 2008, during the public welfare events before the Olympic Games, Liu Yonghao sounded a gong when seeing off the Hope Envoy. In July, 2005, New Hope Group donated one million RMB yuan to Bazhong Revolutionary Base Area to promote public welfare undertakings and proposed to set up the Guangcai Program Fund for Agriculture, Farmers and Countryside in Bazhong Revolutionary Base Area. In August, 2004, a donation of 500 thousand yuan was made to China Society for the Promotion of Guangcai Program in support of the construction of the Red Army Revolutionary Museum in Bazhong Revolutionary Base Area in Sichuan. Before the Spring Festival of 2001, Liu Yonghao, board chairman of New Hope Group, and more than 10 other executives of Guancai Program donated 285 thousand yuan to the Warmth Program for people in need and laid-off workers in response to the appeal of Sichuan CPC Provincial Committee. From 1999 to 2001, Xichang New Hope Colouring Company and Xichang Hope Company made two donations totalling over 350 thousand yuan to two Fumin Primary Schools in Luogupo Township, Xichang, which had been built with funds from New Hope Group. In 1998, when unprecedented severe floods broke out along the Yangtze, Songhua and Nengjiang rivers, the Group donated money and materials worth 3.1 million yuan to flood victims though its own factories were also seriously damaged. On 19th August, 1997, Liu Yonghao donated one million yuan to poverty relief in Liangshan Yi Autonomous Prefecture at the CPPCC Poverty Relief Forum of Private Entrepreneurs. On 31st January, 1997, the Group donated 200 thousand yuan to the Funan River Improvement Project in Chengdu City. On 27th October, 1995, the Group invested 1.7 million yuan to build three Guangcai Program primary schools respectively in Xinjin, Qionglai and Pujiang, Sichuan Province.